Motor Drive & Components - Chicago, Illinois - Pekay Machine & Engineering Co., Inc.
As an accomplished provider of industrial machinery and equipment for more than 60 years, at PEKAY Machine & Engineering Co., Inc. we have an excellent reputation for quality workmanship. 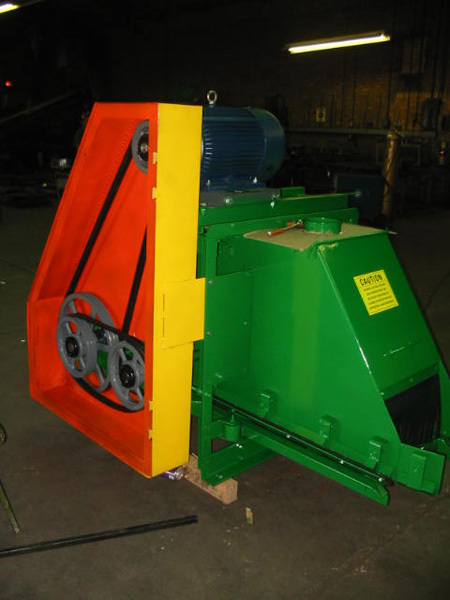 This project showcases our capabilities for manufacturing the precision motor and drive components that go into heavy duty process machinery. The motor and drive components highlighted here were engineered and built by our professional staff, all of whom have a strong background in the industry. Working as a multi-disciplined team, we consulted with the customer to gain a comprehensive understanding of every aspect of their process requirements. Leveraging our decades of experience, we engineered a drive system that would meet their needs while providing operational flexibility. This motor was designed to drive a system with the capacity to operate at speeds of up to 120 mph and process 100 tons of material an hour. The system featured a belt width of 24" and operates at a 0° incline. While the majority of the fabrication was done in-house, we sourced several off the shelf components, including two different V-belts, one a type B120, and the other a type B68, and their sheaves. Designing a custom motor drive system is a complex process. By following a strategy that involved requirements gathering and engineering studies, we were able to create a solution that met all of the operational specifications. Our technical competencies allowed us to build a high-reliability system that was powerful enough to manage an extreme-duty process flow and required little to no maintenance. 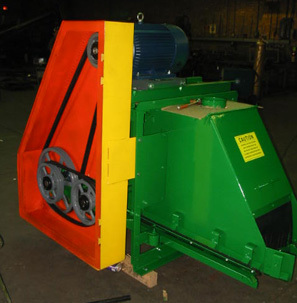 To learn more about our mixing and aeration machine manufacturing capabilities, Contact us directly.